The top boys hockey players from across the Northwest Territories and Nunavut met in Yellowknife last weekend for a number of tune up games at the Arctic Showcase. Team NT and Team Nunavut were joined by B.C.’s Shawnigan Lake School for a three team tournament in preparation for the Canada Winter Games. The home team went a perfect five for five in the win category. Team NT played three games against Nunavut and two against Shawnigan. The identity that Mujcin spoke about will be defined by puck possession. Their goal will be to control the flow of the game by keeping the puck on their sticks rather than dumping and chasing into the other team’s zone, he said. With each game, his team got better at doing just that, said Mujcin. 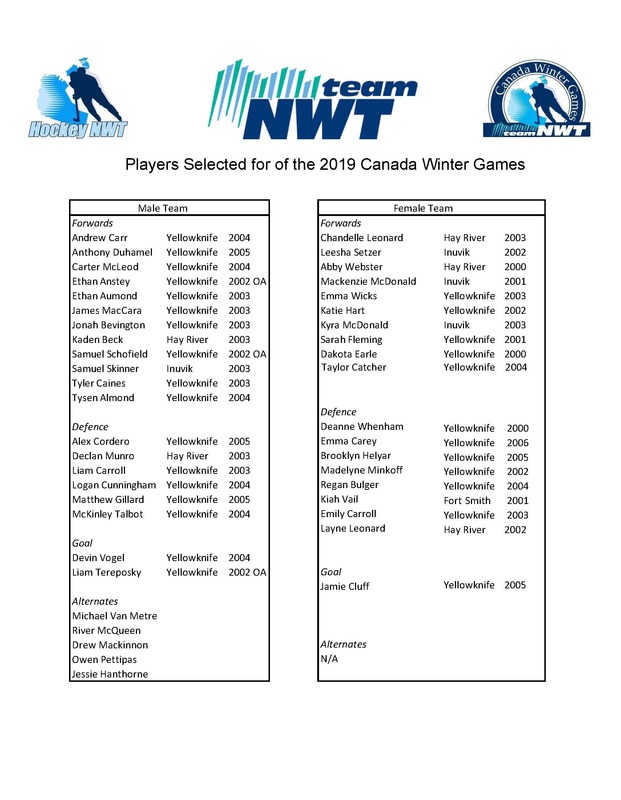 The showcase allowed the Canada Winter Games teams to do something they almost never get the chance to do, which is play against another team that is also heading to the games. As it is with many Northern teams, getting a full roster together was a difficult task. The players come from across the NWT and many play south of 60 in Alberta and B.C. Add that to the logistics of travelling and it gets difficult for Northern teams to find suitable compeition. The showcase also served as a final tryout for the team as Mujcin said they had to cut their roster from 25 down to 20. He said those cuts have now been made but was unable to provide the final roster until all the athletes had been notified.